The Gel Powered Harbour Cruiser is back up on the blog this week and we can’t wait to get this cool custom on its way home! This cart is getting a custom battery pack which also includes an onboard charger. 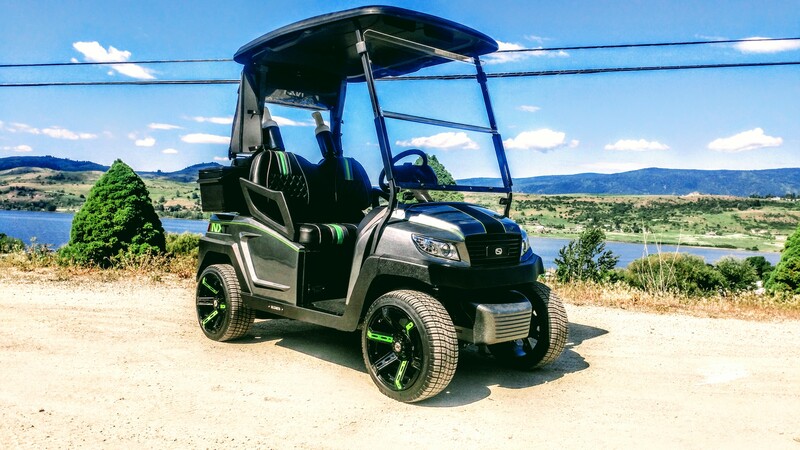 Gel batteries installed and ready to power this buggy, no maintenance and longer life! The front and rear underbody were next to be installed. How about this paint color! The rear seat kit and taillights! The front cowl, getting a bit of sunshine from the window. Next the brand new OEM upholstery was installed, this cart looks awesome, did we mention we love the color. The rear seat kit is going to be super handy for carring stuff to the lake! Another shot of this classic looking buggy! Just a couple more touches needed be completed, including the paddle board roof rack, and this beach cruiser will be off to it’s new home! Part 1 of this build can be seen here!